Slopeside 3 Bedrooms 3 Baths- Hot Tub, Grill, Garage! Black Bear Lodge is located at the base of Mt. Crested Butte. This gorgeous condo is 2 stories high, located on the top floor(3rd- with elevator!) and has views of the ski mountain and of Crested Butte valley, that are spectacular- thru 3 story windows and balconies! This is a 3 bedroom, 3 bath condo. The town bus stops right in front and is free. There is a king in the master suite, and a queen in the second master suite. The 3rd bedroom has 4 single bunk beds, with a 5th single that pulls out at the bottom. Another bathroom is right next to that room in the hall. There is also a queen pullout in the living room. Come on over for summer or winter fun! There's a river in the back, and a hot tub and a grill outside. Fireplace, 2 gorgeous balconies, 2 story windows, HBO, 2 ski lockers are on the main floor, outside hot tub, wifi (supersize real fireplace in the lobby!, bbq grill, parking in heated garage. The large master suite (king bed) offers privacy with an enclosed steam shower, jetted tub, 36' flat screen TV, and a walk in closet with built-in shelving and tons of hangar space. It is up a flight of stairs from the main living area. Second master offers a queen size bed, full bath, and a closet with built-in shelving, and lots of hangar space. The 'kids room' has 2 bunk beds (4 beds) with a pull-out trundle bed (5 beds total!). There is also a pull-out queen sofa in the living room that sleeps 2, which is why it can sleep 11! It is a new, 25 unit luxury complex, with a heated covered garage; outdoor hot tub; a large common lodge area with a TV, free wifi, and fireplace. Authentic Colorado living in this super-sized, 2-story three bedroom, three bath condominium furnished with a western theme and log accented. More like a townhouse! One of Crested Butte's newest properties. 1700 square feet of luxury! This condo is our second home and is fully equipped and very nicely furnished. Take the elevator or stairs to our top floor, quiet unit, and soak in the views! Two balconies beckon you to relax and watch the sunrises and sunsets. The summer offers some of the most scenic mountain-biking trails in the entire country. If fly-fishing is your hobby you're in the right place. Dozens of fishing areas within a 30 minute drive. Catch rainbows, browns, and cutthroats. Miles and miles of hiking surround you and if you feel adventuresome you can even hike to Aspen. If you're looking for a shuttle bus, the stop is right outside the front door of the lobby! Any season you visit you will enjoy the varied restaurants and shopping. Remember, Crested Butte has been designated the 'Wildflower Capital of Colorado' and the wildflower filled, high alpine meadows are a wonder to behold. Relax at night and watch a DVD or VCR tape on one of our two large LCD flat screen TVs before bedtime. If you enjoy cooking, our well appointed kitchen will make you feel right at home or you can use the BBQ grill next to the outside hot tub. Please remember that our condominium is our second home and we don't allow pets or smoking. We're a family that just loves being outdoors in the mountains. Whether skiing, fishing, hiking, mountain biking, snowmobiling -- anything really. Just get us out and in the mountains and we're happy! Nearby access to all the outdoor activities we love. Location, location, location. If you love playing outdoors in the mountains this is it! nice elevator goes right up to condo. No hassle. There was plenty of room for two couples and we were amazed at the views the morning after our late arrival. Unfortunately, the cleaning service was not commensurate with the quality of this condo. The bathrooms were dirty, the trash was not taken out, and the carpets didn’t appear to be well vacuumed. We contacted the service and they apparently came back when we were out but did not address the poor cleaning. The cleaning service was the only thing that was not five star. Other than that, we had a great time in a well equipped, comfortable condo with a great view of the slopes and surrounding mountains. I would definitely return to Crested Butte again - it had a great vibe! Love love love this condo! Very comfortable, clean, well appointed, perfect location - just can't say enough about it! Jeff was so accommodating and attentive making sure everything worked out for us. It has all the amenities from covered parking to a great outdoor hotbub. The views are amazing too! Crested Butte has become our favorite mountain and we've skied a lot of places - challenging terrain, great snow, sunshine, great people! We also loved the little town! It was very refreshing to visit only locally owned and operated stores and restaurants. It has a great ski town feel and very friendly locals. 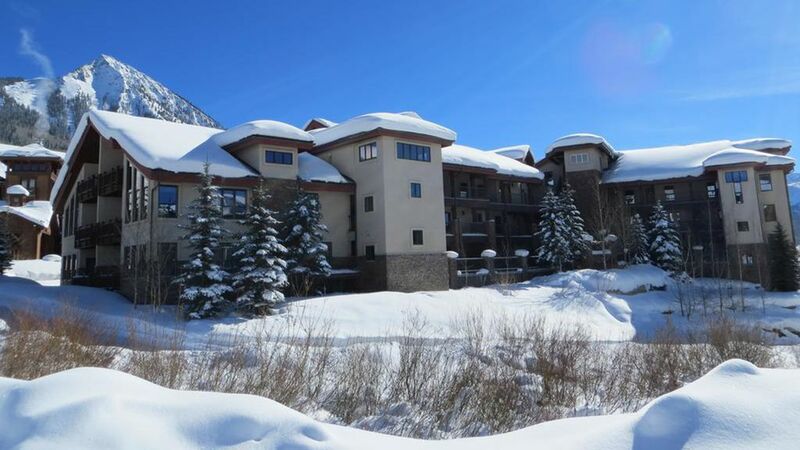 I would highly recommend this condo as well as the skiing at Crested Butte. We hope to be back next year with our Epic Pass!! Thanks Jeff! Very easy to work with. Good guests. Would be happy to welcome them back. We had a great time at Black Bear! Condo was nicer than the pictures even represent. Plenty of room for 6 adults and 3 kids. Very comfortable to just hang out in. Amenities were great-plenty of kitchen dishes to cook in, TV's, bathrooms. Spectacular views! Contacted Jeff a couple of times for some questions and he was extremely attentive, emailing back each time within a few minutes. Heated parking garage was awesome! It is also quiet and secluded back there. Though it is fairly close to the West Wall lift which is a quad chair that takes you to a run that you can ski down to the main base area, it is a little bit of a hike across the street, through the outdoor corridor of the neighboring lodge, and up the hill to get from the condo to the lift. Total of 100-120 yards. All in all, we had a great time, would recommend the place and Jeff to friends, and would stay here again. Lovely views, comfortable and close to slopes! My family (my wife, three children ranging from 13-20 and I) stayed at the condo for five nights. It was well appointed and very comfortable. The views of the mountains and the town were stunning and it was an easy walk to the slopes and an easy drive or bus ride into town. We would definitely stay here again! Very easy guests to deal with. Thank you for staying in our property. This property was perfect for our family trip of 10 from ages 12 to 73. Location and views were amazing. Very well kept and upgraded features in the bathrooms and kitchen should make this place a more than comfortable stay for anyone. Really quick walk across the street to the West Wall lift allowed our ski party to come and go as they pleased. It's also along the shuttle route. Having 2 dedicated ski lockers was really helpful with the amount of gear we had for 8 skiers/boarders. Climate controlled garage and controlled access to the property is a nice bonus. Owner was great/quick with communication and provided all the information needed. Quick note regarding wheelchairs: One of the factors for selecting this property was we needed a place that was wheelchair accessible. This place was great for parking, elevator access (3rd floor unit) and getting inside the front door easily in a wheelchair. However, once inside it is not really set up for wheelchairs (i.e. furniture placement, no grab bars in the bathroom). We understood since this is a private residence and not a public building and we were able to make it work. Wasn't a big enough issue for us not to rate this condo 5 stars because everything else is perfect. Just felt important to mention for folks that need an "accessible" unit. Would certainty recommend a stay here for either a winter or summer vacation. It's a great place either way! The home was perfect for our party of 7 with room to spare. The rustic decor was sweet, the kitchen was well stocked although we didn't cook dinner but easily could have. Location was excellent, with convenience of the town shuttle within walking distance. The rooms and bathrooms were clean and very functional. We enjoyed a fall weekend but could see how this property would be great any time of the year! Communication with owner and property manager was clear and helpful! Very easy guests to work with. Thanks for visiting! Awesome fly-fishing nearby!!! Fly-fishing float trips, Snowshoeing, Ice skating, Yoga, Boating and Waterskiing at Blue Mesa, White-water rafting on the Taylor or Gunnison & Awesome sunrises/sunsets! There is a cleaning fee of $150 for 3 nights.